Obesity is a condition in which the body possesses excessive body fat which could put one's health at risk. 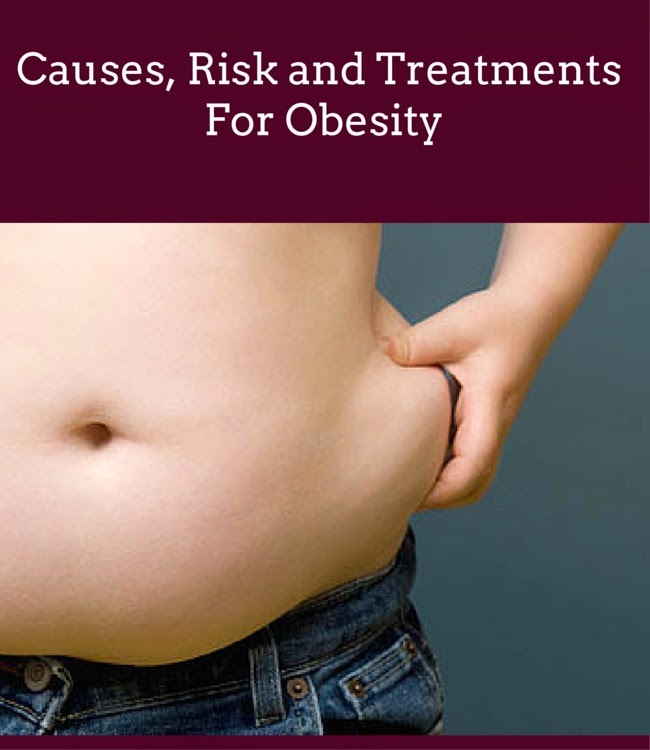 There are several conditions that may be developed due to obesity. Many individuals are afflicted with obesity and based on studies being carried, out the amount of obese individuals will keep rising. To help fight the obesity epidemic, several organizations like the American Obesity Association (AOA) are putting their efforts into developing new and efficient strategies. Moreover, many health organizations are doing their part to educate people about obesity. Nevertheless, there are effective treatments for weight problems. Doctors strongly suggests people become aware of what causes obesity and empower them to do something about them. Human beings need to eat to be able to function effectively and provide what their body needs. The problem is when individuals eat an excessive amount of carbohydrates and fat. Your body doesn't utilize all of them and therefore they are kept in the body as excess fat or calories. Since fats and carbs are definitely the main culprits to weight problems, people who love consuming foods loaded with carbohydrates and fat will probably become overweight. Examples are steak, milk products, pasta, potatoes, rice, white bread, sweet food items and sweetened drinks, particularly carbonated soda. Apart from eating unhealthy food, having an improper eating routine may also give rise to obesity. Many people don't eat a healthy breakfast, which can lead to overeating for the rest of the day. Also. many don't try to eat regularly. Rather, busy people choose to eat only if they have time to do this which can be very detrimental. It is very important to start you day with a healthy balanced day. Contrary to what many might think, it is also important to eat 5 small meals during the course of the day. Having a mid morning and mid afternoon snack, something like an apple and a piece of cheese, will help keep hunger pangs at bay, reduce the chance of overeating at lunch and dinner and keep your metabolism steady and productive all day long. Poor Eating Habits - Not eating regularly, overeating, consuming an excess of carbohydrates, fats and sugar as well as an inadequate amount of fruits and vegetables will all lead down the path to obesity. Inactive Lifestyle - Because of technological innovation, many individuals don't need to exert a lot effort within their work and in many cases at home. Technology has made things all too easy. When you are sedentary, your body doesn't burn the stored energy within the body. Consequently, the stored energy becomes fat which can lead to obesity. Additional causes of obesity consist of hormonal imbalances, particularly for women, environmental factors, genetics, family history and psychological problems. Each one of these factors may contribute to obesity when they're not dealt with properly. Heart Disease - Cardiovascular disease, including cardiac arrest, congestive heart failure, chest pain or angina and irregular heart-beat, is significantly elevated for individuals who are obese or overweight. Actually, obese people have a 70% increase in heart disease. Obese people have twice the risk of high blood pressure. Furthermore, triglyceride and cholesterol levels are generally much higher in those struggling with obesity. Those with obesity also have lower HDL cholesterol levels which is the called the 'good cholesterol'. Stroke - Obese individuals are at a dangerous risk for stroke. The most common reason for stroke is atherosclerosis, a thinning of the arteries that causes arterial blood clots. As atherosclerosis is cause by a multitude of factors such as hypertension, high cholesterol, lack of exercise, smoking and obesity. Diabetes - Research has shown that an excess weight of just 11-18 pounds can double a person's risk of developing diabetes type 2. Over 80% of diabetic patients are obese or overweight. There is clearly a historical relationship involving diabetes and obesity. Furthermore, obese people have a 400% increased risk in becoming diabetics. Obesity has been proven to place individuals at greater risk for many forms of cancer including colon, prostate, gallbladder and kidneys. In obese and overweight women there is also the risk of endometrial cancer and postmenopausal cancers of the breast. Statistics show that females gain 20 pounds among the age of 18 and middle age. They are at twice the chance for postmenopausal cancer of the breast than ladies who maintain their body weight during their adulthood. Gallbladder Disease and Gallstones - The occurrence of gallbladder disease and gall stones is about 3 times greater in overweight individuals. Additionally, the risk of symptomatic gallstones is proportional to a rise in weight as well as Body Mass Index (BMI). Reproductive Complications - Babies born to overweight mothers tend to be more prone to higher birth weight. Consequently, obese mothers are often required to go through a Cesarean section delivery. Overweight problems have also been associated with a greater frequency of birth flaws, particularly neural tube problems including spina bifida, and additional complications during delivery stages. Obesity has also been show to increase the chance of death for mothers and newborns during pregnancy. There is also a 10 fold increased risk of high blood pressure levels in pregnant obese women. Osteoarthritis - Osteoarthritis is much more common in overweight individuals than people with wholesome body weight. Actually, research indicates that for every two pound rise in body weight, overweight and obese people notice a 9 to 13% higher risk for arthritis and other ailments. Depression - Obese and overweight people are afflicted by depression along with other psychological problems. The sentiments of unattractiveness, solitude, disappointment and inability may be emphasized when a person experiences rejection or any kind of discrimination within a workplace, school or social situation. Basically, many obese and overweight individuals experience a lower quality of life caused not just by numerous health problems but also the incapability to finish some pursuits or attain certain goals. Breathing Problems - Obese individuals are more likely to suffer from breathing problems such as asthma, severe bronchitis and respiratory insufficiency. Sleep apnea, characterized by difficulty breathing and interrupted respiration while sleeping, is much more common in overweight and obese populations. The simple prescription is: exercise, drink 64 oz of water per day and low carb and low sugar diet. You may have tried fad diets or get thin quick schemes but the weight comes right back. The only way to do it for lasting success is through proper nutrition and exercise. Those most successful at their weight loss adhere to a regimen. They keep to their routine and abide by it no matter what. Slow and steady will win the race in the end. Do not get impatient. The reward will be so sweet if you hang in there. In some cases of severe, morbidly obese patients, diet and physical exercises have a very limited impact. In these cases, it may be necessary to have bariatric surgery, only after a doctor performs a full physical exam and psychological evaluation and typically they will require an attempt at dieting and exercise before agreeing to perform surgery. Obesity will not disappear quickly. It needs to be a very disciplined process which will take some time. Through this process you will develop a whole new relationship with food and with your body, which is key to your long term success.